VoIP stands for Voice Over IP (Internet Protocol); it offers all the same functions as a traditional phone system, but uses the infrastructure of your internet connection to transfer the data, and can thus offer powerful new features as well a seamless integration with the rest of your IT system. 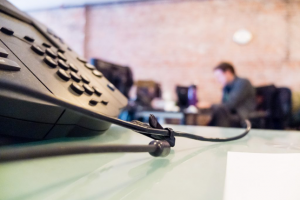 VoIP phone systems are gaining widespread popularity due to their affordability, their innovative features, and the ease of converting from a traditional system. VoIP is not a single product, but rather a field of communications technology; many different computer programs, both proprietary and open source, can accomplish VoIP, so you can choose which offers the features best suited for your needs. SJP Network Solutions offers regular VoIP systems as well as a more advanced cloud-based PBX (private branch exchange) system with IVR (interactive voice response) menu capabilities which will eliminate the need to personally answer all calls and can help callers to connect themselves to the proper department. Businesses are choosing to switch to VoIP because it is significantly less expensive than traditional phone systems, it offers powerful features such as video conferencing and integration with personal computers and cellphones, and it can be maintained alongside the office’s regular IT infrastructure. One of VoIP’s major benefits is its capability for unified communication, meaning it can treat all communication – phone calls, voicemail, email, fax, etc. – as pieces of data that can be easily transferred between desk phones, cell phones, and personal computers. VoIP technologies can be scaled to the needs of any sized business; it is used by both small offices and major government bureaus. 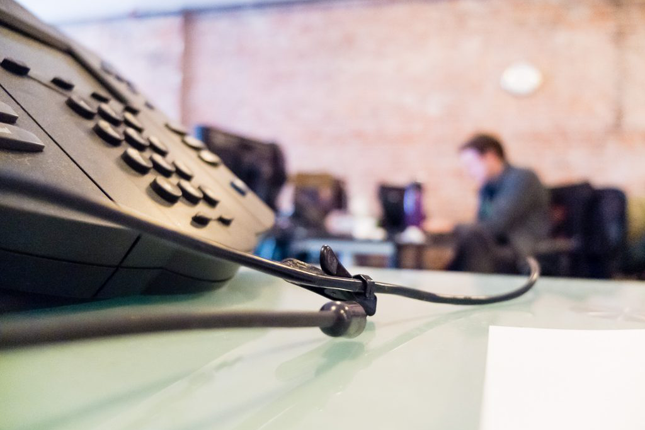 Furthermore, since most businesses have an existing high-speed internet connection, converting to a VoIP phone system is typically very simple and requires no major investments aside from the new phones. What makes SJP Network Solutions different? SJP Network Solutions offers a wide variety of IT products and services from our offices in Fort Walton Beach, Florida, and Austin, Texas. In addition to business phone systems like VoIP, we offer remote and onsite IT support, network security, Wi-Fi setup and maintenance and cloud-based solutions. Call today at 850-659-6649 to learn more about VoIP systems or our other services.